The More the Merrier! Dogs, Cousins, and a Lot of Laughter. As a photographer that specializes in working with babies and young children, I felt like I was being thrown into the deep end when a friend contacted me to take an extended family portrait for her parent’s 50th anniversary gift. You see, although she had a 7-year-old son, her brother’s family included kids that were already in the double digits! So yeah, I was hesitant because last I checked “peek-a-boo” and a good tickle weren’t going to work in family photos with teenagers. Well, I shouldn’t have worried so much. This family made my job incredibly easy. As you can see from the “jumping” photo above, they were up for anything and made the whole process fun. I love this photo because even though it is an image of Mom and Dad, their whole family makes an appearance. You know when your kids can play in the background, you’ve done things right. Sister and her Dad were happy to go toe to toe. But this little staring match ended in fits of smiles and laughter. Mom and her son were totally into the session when I asked him to give his mom some love. He’s almost taller than she is, but still very much her sweet boy. This is when brother started to get the giggles and really let go. His smiles were so natural after this shot. Sister is a complete natural when it comes to posing for photographs. She would just snap that gorgeous smile on and made every photo she was in more alive. See what I mean about that natural smile! Dad couldn’t be prouder of the man he is raising. I love images of mothers and daughters because you can see the young girl reflected in the Mom and the grown woman that the daughter is becoming. Sister has Daddy’s eyes, but the rest of her is all her Mom. Just a quick moment of laughter between siblings! Brother couldn’t stop laughing, no matter what I did. And sister gave me this, “yeah, I have to deal with this all the time” look. Priceless! The only scary thing that happened during this session is when the youngest “brother” decided to make a break for it and run into the street. Fortunately, there weren’t any cars at that time (thank God), and he was just fine. Mom here had to grant him some love too, so thankful to have him safe. Finally, we did wrap up our antics with a formal family portrait. Something Grandma and Grandpa would be happy to have smiling at them from their walls every day. 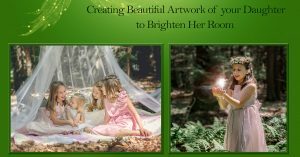 Limited Edition Enchanted Sessions Booking Now!